Located in the Northern suburbs of Joburg, Africa Black is a roastery and coffee bar with a stellar reputation. I had heard from friends that their church was using Africa Black coffee and had not managed to visit last year when I was in Joburg. So this time round, without a doubt, Africa Black was on my list of coffee shops to visit. I was so surprised on arriving because Africa Black hasn’t tried to be like every other coffee shop. Their decor is unique, they have a lot of seating and their dark wood coffee bar is just magnificent. I ordered a flat white, which was made with their Guatemalan espresso of the day, and I so enjoyed the nutty flavour that was left in my mouth. Now if you didn’t know, Africa Black is run together with Stil Coffee roastery. What is so great about this partnership is that their coffee knowledge is so vast that they also run many different courses on site. To find out more about their courses click here. 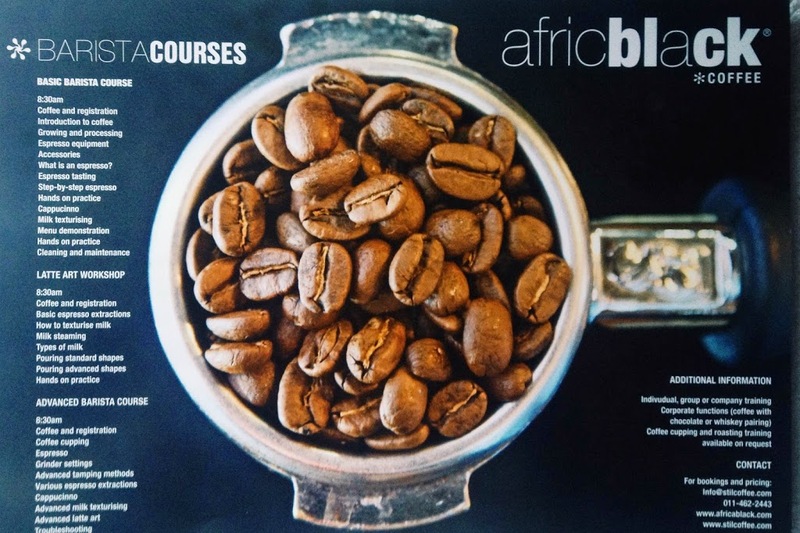 Africa Black also host a weekly cupping, which is free, and takes place on Tuesdays and Thursdays from 10am – 11am. 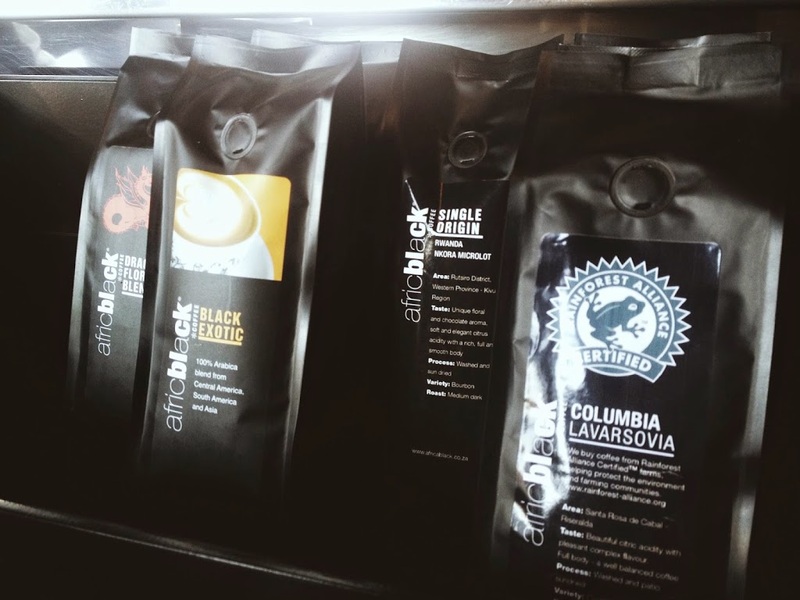 The Africa Black website is an e-commerce site therefore you can order beans online, or you can go in for a cup of coffee and leave with a bag of beans too. Stil Coffee roast a number of blends on site, as well as single origin coffees from Africa, Asia, Central & South America. You can have a little look-see at their variety of coffee beans and equipment for sale here. Africa Black is a really great coffee shop and so worth a visit when in Joburg. 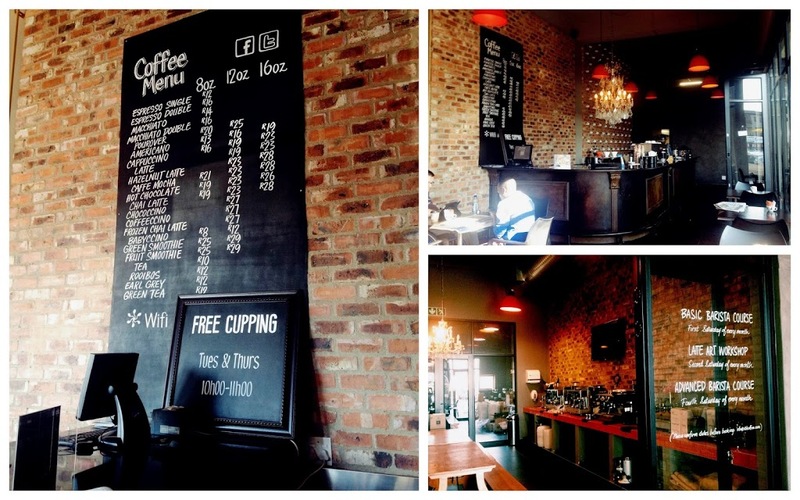 There aren’t many speciality coffee shops in the Northern suburbs and so this one is a real gem. If you’re looking for them on your map, key in Northlands Corner, corner of Witkoppen Road and Newmarket Street. Follow these coffee legends on Facebook and Twitter and the next time you’re in there for a cup of coffee tell them I say hi!